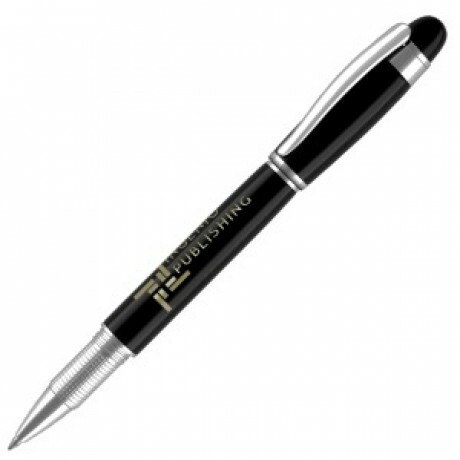 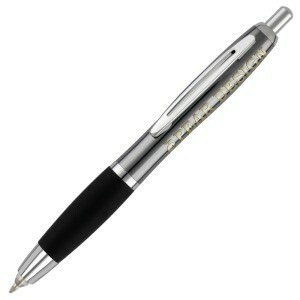 Quality metal ballpen with soft rubberised grip and chrome trim. 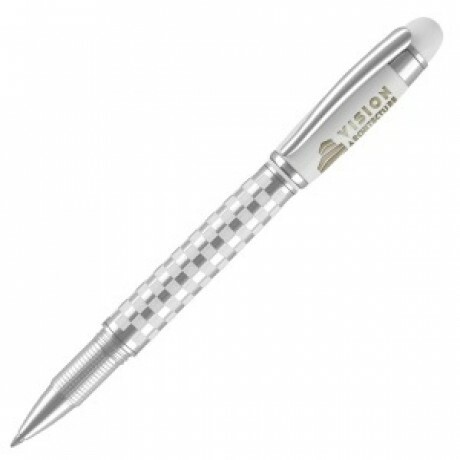 Pen nib illuminates when push-button is operated. 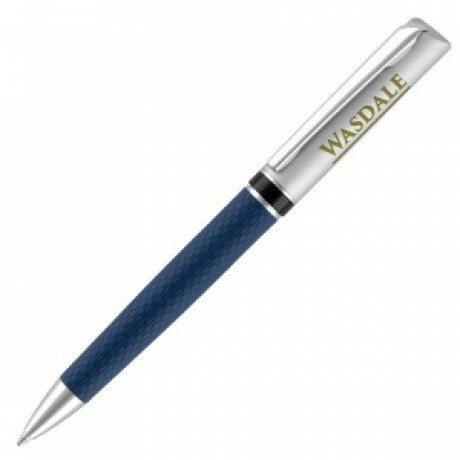 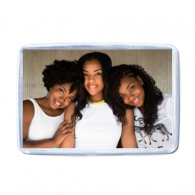 Suitable for laser engraving and available from a single piece.